So yeah, N has started bringing me clean diapers when he wants to be changed. Then today he seemed interested in sitting on the potty, so I took off his diaper. He took off running… and came back in a minute with a magazine. He then proceeded to sit on the potty and examine the pictures. I swear, he was the spitting image of his dad. Unfortunately, the… um… event did not happen while he was sitting on the potty, but shortly thereafter (perhaps while looking for another magazine.) To his credit, he brought me the poop and then pulled a kleenex out of the box and wiped the floor. Moving on… not a lot has gotten done around here. Not only have we all been sick but our part-time nanny was sick too, which meant a sick mommy trying to take care of three sick kids. We’re still sick, but the nanny seems to have bounced back nicely. I did get some things done – let me tell you about them. 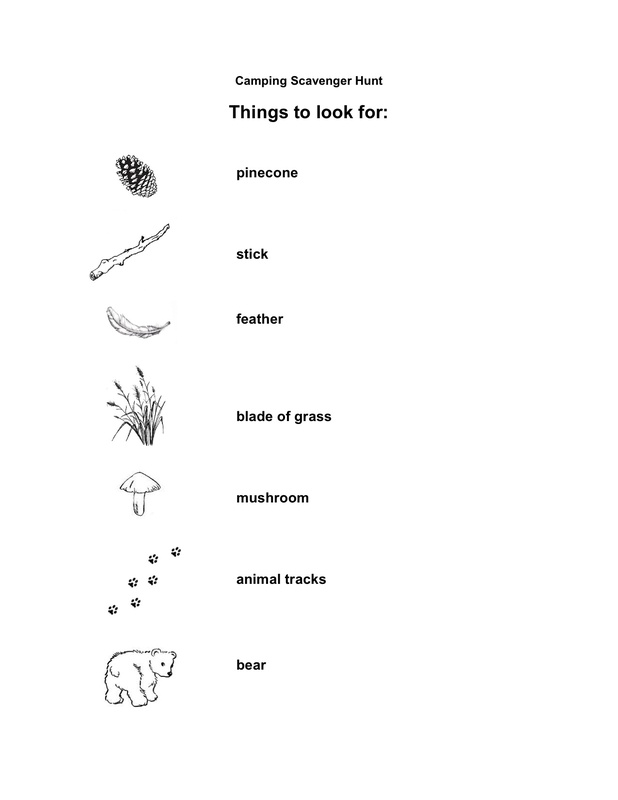 Pinecone and Stick – We’re going to take a walk on a nearby nature trail and find a few of each. Feather – We have a down pillow that insists on shedding its feathers. We’ll just pull a few and call it a day. Blade of grass – I’m going to cut down some of the ornamental blue oat grass from my backyard and tape it to one of the legs of the dining table. Mushroom – Yeah, supermarket mushrooms. But maybe something a bit more exotic looking than the usual white button mushrooms. Animal tracks – Since we’re doing this hunt in the dark, I’m going to cut some animal prints out of white vinyl (left over from the cloud decals) and stick them to the floor. Bear – Teddy bears, of course. You know what? I just don’t have the energy right now to start cutting up foam mats and piecing them back together. I’m abandoning this project for the time being. Wouldn’t you know it, K had been fully healthy for 48 hours when – BAM – she started with the sneezing and runny nose of a fresh new cold. And then I got N’s pinkeye. R still has a wet, phlegmy cough. N is still coughing too, but seems to be on the mend. In the midst of it all Mr. December stands as a shining example of a man with a working immune system. I felt like a failure at this task until a friendly family doctor informed me that young kids in school or daycare get, on average, thirty illnesses a year. Is it even worth ramping up the hand-washing and administering lots of vitamins? You know that I hate loot bags… but sending kids home with nothing is a surefire way to earn their disapproval. Since our theme is camping we’ll be handing out a mini flashlight to each kid, along with stickers to put their name on it, when they arrive. As they leave I plan to hand out tiny packets containing a couple of graham crackers, a mini milk chocolate bar or some chocolate chips, a kosher marshmallow or two, and instructions on how to make s’mores in the microwave. That’s it. I’m also trying to think of a relevant charity to support by making a donation in honour of K’s guests. Anyhow, this week I plan to purchase the flashlights as well as all the component ingredients for the s’mores packets. And that’s it. Anybody else being productive these days? Tell me all about it in the comments. Idea for a donation: you could make a donation to Jewish Child and Family Services earmarked to the Camp subsidies fund. Over 600 kids a year receive subsidies for day and overnight camps.